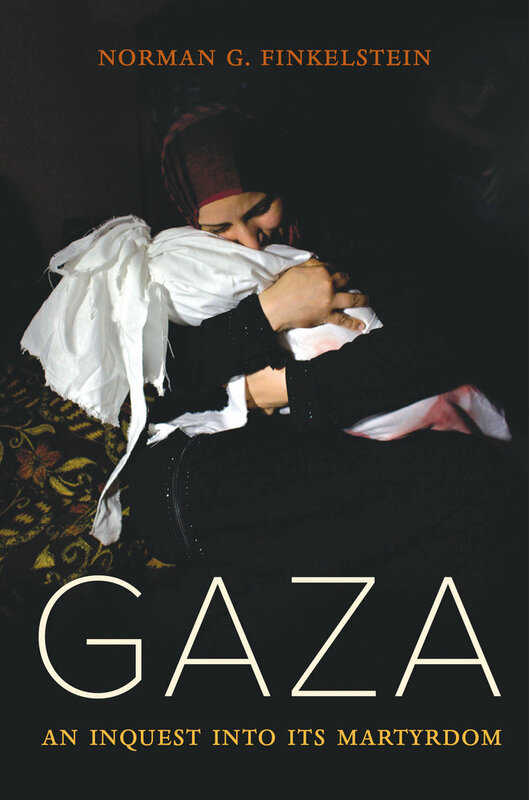 A huge amount of work obviously remains to be done, and as the Israeli occupation of the West Bank and Gaza enters its third decade one realizes that the magnitude of liberation required can only be accomplished by great and concerted effort. The thing to be remembered, however, is that nothing–and certainly not a colonial ‘fact’– is irreversible. There are greatly encouraging signs of a notable change of attitude in numerous Israelis, and some of their Jewish and non-Jewish Western supporters. 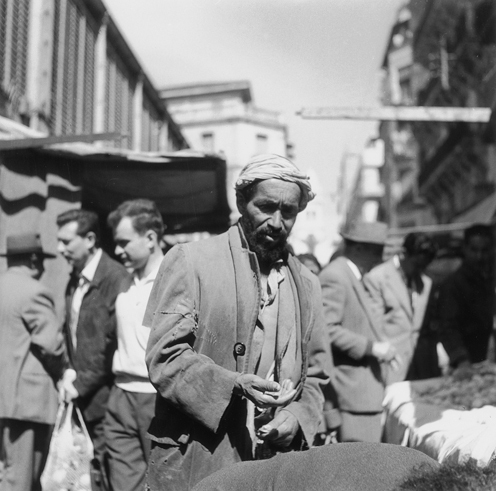 The Palestinians have since 1974 premised their political work and organizing on the notion of joint community for Arabs and Jews in Palestine; as more Zionists see the wisdom of that option, as opposed to continued militarization and inconclusive war, there will have to be more joint political and scholarly work by like-minded people. This collection of essays is presented in advancement of that goal. 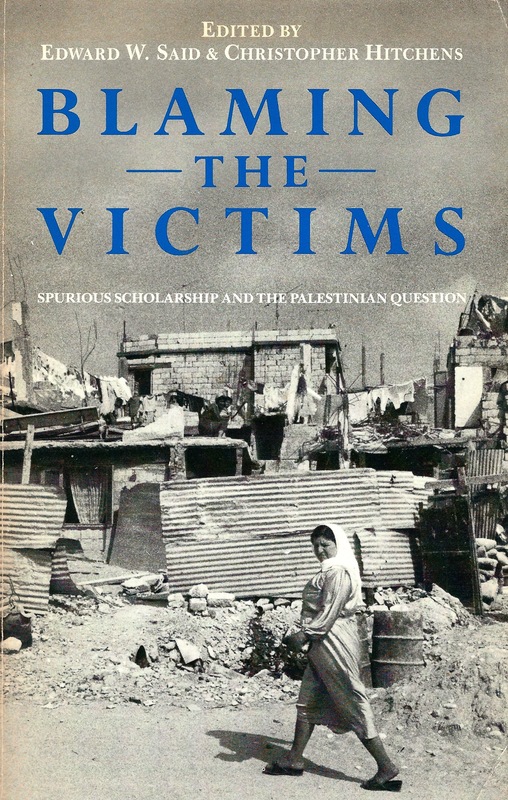 Introduction to Blaming the Victims: Spurious Scholarship and the Palestinian Question, with essays by Noam Chomsky, Norman Finkelstein, Christopher Hitchens, Ibrahim Abu-Lughod, and others. This article was first published at Counterpunch, January 12, 2005.
of the people who actually live out there. There is no peace because there are no peacemakers. There are no makers of peace because the making of peace is at least as costly as the making of war ­ as least as exigent, at least as disruptive, at least as liable to bring disgrace and prison and death in its wake. In the months before the election, there was a lot of talk about the Vietnam War, some concerning where George W. Bush had been during that time, some dealing with what John Kerry had done, both in Vietnam and back at home. At the Democratic Convention, John Kerry declared himself proud to have served in Vietnam-consigning to Orwell’s memory hole his post-war activism against the war. In a campaign where he had to be seen as strong to rival Bush’s macho (yet fumbling) discourse, Kerry conveniently let that conscientious part of his own past slip away. (That “forgetting” is at least congruent with his support of the current war in Iraq and his enthusiasm not to withdraw but to stay and win.) And, of course, Kerry uttered the infamous non sequitor that even if he had known there were no WMD beforehand, he would still have gone into Iraq had he been President. Gore Vidal’s apt subtitle for his latest book is “Reflections on the United States of Amnesia.” John Kerry wanted to be the Commander in Chief of this land of Amnesiacs, and he certainly offered himself as role model for abject forgetting. Much nonsense was spewed forth at both ends of the political spectrum with each trying to trump the other when it came to proving militarist bona fides. The press can never resist a good martial tune, and so we all pretended, for what we told ourselves would be just a moment, that an illegal invasion and immoral occupation could be set right by a few more troops and better armor on the Bradley Fighting Vehicles. The price we will pay for this collective amnesia will be enormous, though we have only begun to see the faint outline of its contours. A stirring antidote to such amnesia is the 1974 Oscar-winning documentary by director Peter Davis, Hearts and Minds. Each semester in his Social Justice theology course at Saint Louis University Mark shows his students this film, which has been recently reissued in the Criterion series on DVD. Some students, in their early twenties, share observations of how hard it is for their relatives ­ fathers and uncles, mostly ­ to speak about their experience in Vietnam. Some have testified that these men, now in their fifties and sixties, are still suffering from Post-Traumatic Stress Disorder. For them, and their families, the Vietnam War is not yet over, there is not yet healing. The war lives on, enfleshed yet mostly mute, and still dreadful, with a new generation. And yet hardly a week goes by that we don’t come across-in newscasts, on the Internet, in newspapers-a pious invocation of our efforts to win Iraqi “hearts and minds,” harking back to Vietnam, and willfully forgetting that our military efforts there (where we learned to “destroy the village in order to save it”) killed 3.5 million Vietnamese before they came to an end. The somewhat exalted libido sciendi that drove me, rooted in a kind of passion for everything about this country, its people and its landscapes, and also in the dull but constant sensation of guilt and revolt in the face of so much suffering and injustice, knew neither rest nor bounds.